I enjoyed reading GIRL NUMBER ONE. Eleanor is such a great character. She has had some truly awful things happen to her but she refuses to let them rule her life. And her friends are as wonderfully portrayed. Another thing that I really enjoyed about the book was its setting. It is set in Eastlyn which is a small village in Exmoor. The lifestyle is so different from anything that I could experience here in the States except through books like GIRL NUMBER ONE. And it is nice to be reminded that murder can happen anywhere no matter the size of the city, or in this case village. The pacing is perfect! Slow enough in places to absorb the village life and fast enough to put the reader on the edge of their seats. And the ending...well let's just say that I hadn't been right on who I thought was the killer. 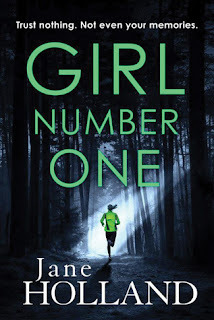 I do recommend GIRL NUMBER ONE to any of my readers who enjoy mysteries set in delightful locations. There are some grisly scenes so perhaps not appropriate for the younger readers.